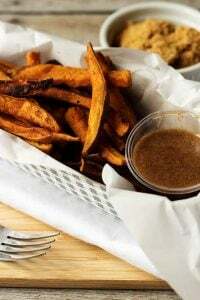 The next time you want a savory and sweet side dish, then try these sweet potato fries with cinnamon, heavy cream, and brown sugar dipping sauce. Fall is one of my favorite times of the year. It’s the season when all my cherished vegetables appear on our kitchen table.